Description Port Underwood and Microwave station 1987: "Microwave tower at Rahotia (19 September 1987)". Part of the Brayshaw Park, Beavertown photographic inventory, taken by Roger Thwaites in the 1980s. 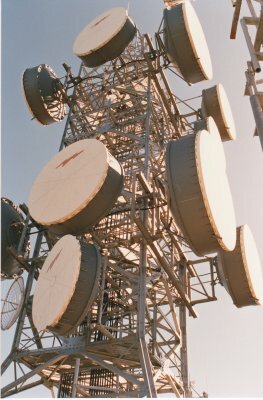 Although the Rahotia Microwave Station is not part of Beavertown, these images were most likely taken as a record of the upgrade in 1987 (see notes). They were taken over a period of 4 days.